Wendelin Van Draanen is in the house at Wild About Words and she's sharing her 6-1/2 tips for things to think about before writing series fiction. Wendelin is an amazing human being, author and band member. Check out the organization she and her husband, Mark, created to get kids fit and get them reading. 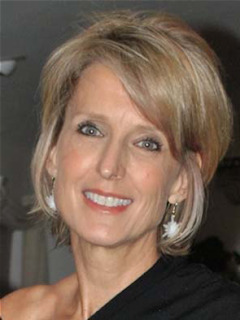 It's my pleasure to introduce Wendelin Van Draanen and her . . . While I love Wendelin's books, my personal favorite (so far) is Swear to Howdy. It's a gem of a middle grade novel. 1) What you establish in Book 1 you have to live with for the entire series. 2) If you need to get out of what you’ve established in Book 1, your readers will know you’re cheating. 3) Series work best if the characters evolve. 4) Evolution does not mean a sudden radical departure from established characteristics. That’s cheating, too. 5) Technology will change faster than you can write your next installment so avoid too much technological detail in your story. 6) Your brain is not a bible. Start one early. 6.5) Series are the underdog of literature. You’ll have to work extra hard to earn respect. Interesting tips, especially the one about technology. I've never tried to write a series, I'm still struggling to get a first novel published. I had not seen the video trailer for The Running Dream. Thanks for sharing it! Love Wendelin's tips...the part about technology changing is a good reminder...so true!! Wow, great interview, and I'm definitely goning to read The Running Dream! By the way, congrats on your Crystal Kite nomination! 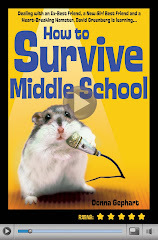 Loved How To Survive Middle School!!! I'm signed up as one of your followers. 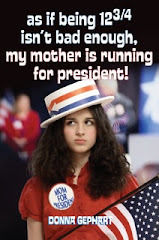 If you have time, stop by and check out my blog too. What a great blog. Thanks for directing me there and thanks for all the good work you do. I appreciate your kind words about How to Survive Middle School. It's a pleasure meeting you, even if it is just virtaully.